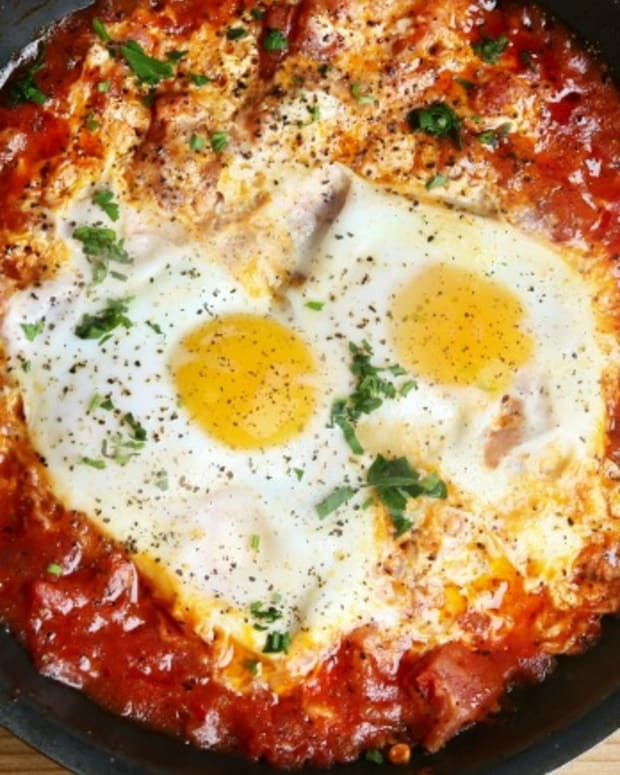 One of my favorite breafast/brunch dishes of all time is shakshuka! 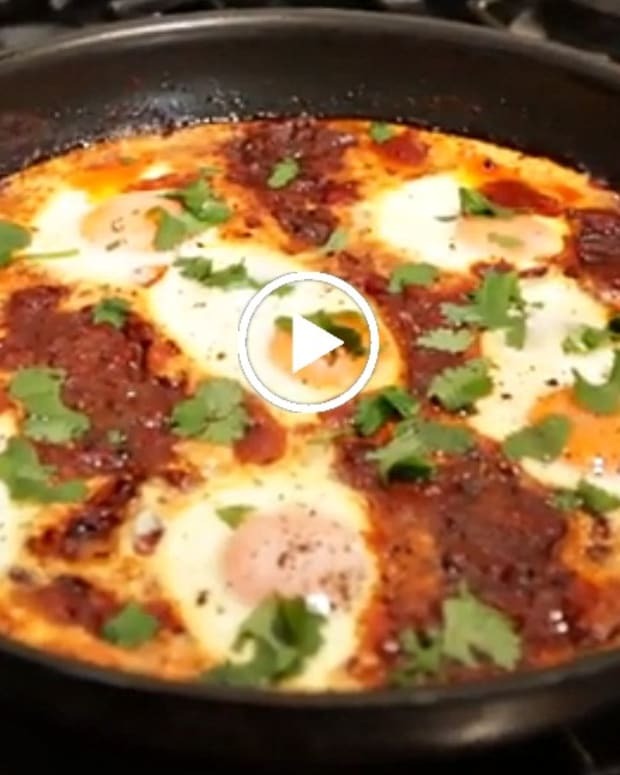 Shakshuka is a classic dish of eggs poached in a peppery tomato sauce. I like to take the shortcut and use matbucha (or even marinara) as the base - but I&apos;ve taken it up a notch here by baking the shakshuka in some portobello "cups". 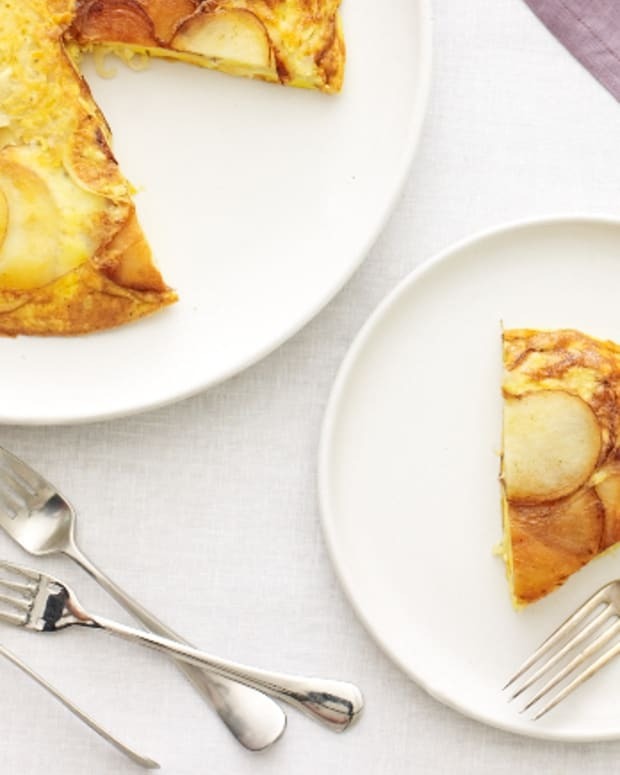 This makes for the perfect base to catch all those yummy egg drippings. 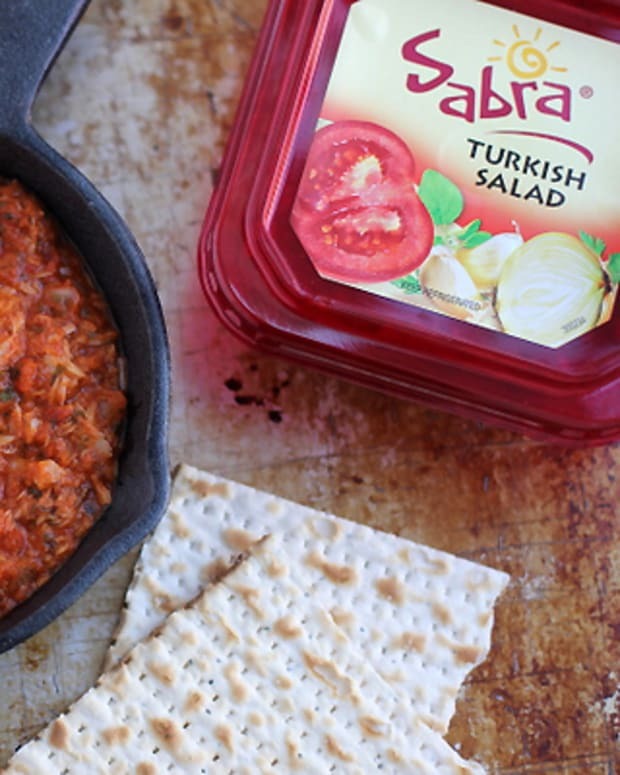 Sabra&apos;s Kosher for Passover matbucha (no kitniyot) makes preparing this dish a cinch - perfect for Chol Hamoed brunch! 6-8 eggs depending on how many mushrooms you use. 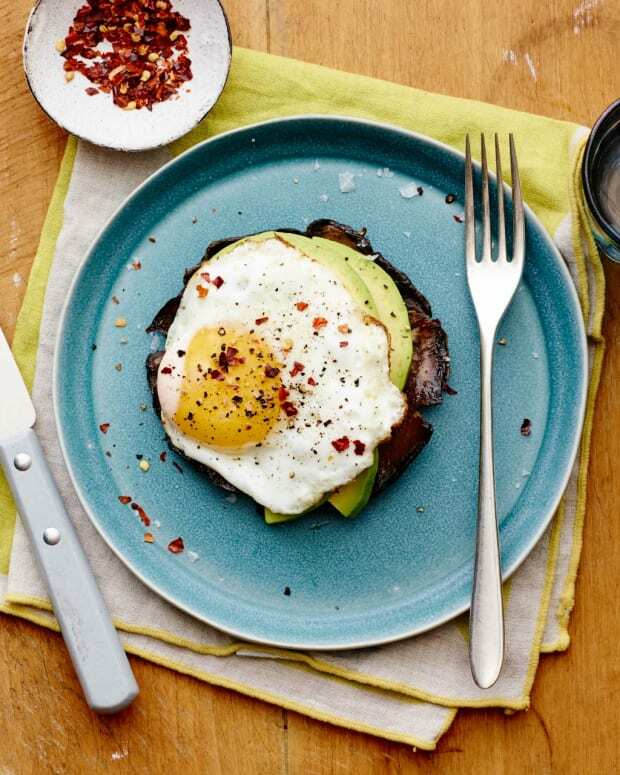 Look for large portobello mushrooms that aren’t too flat. 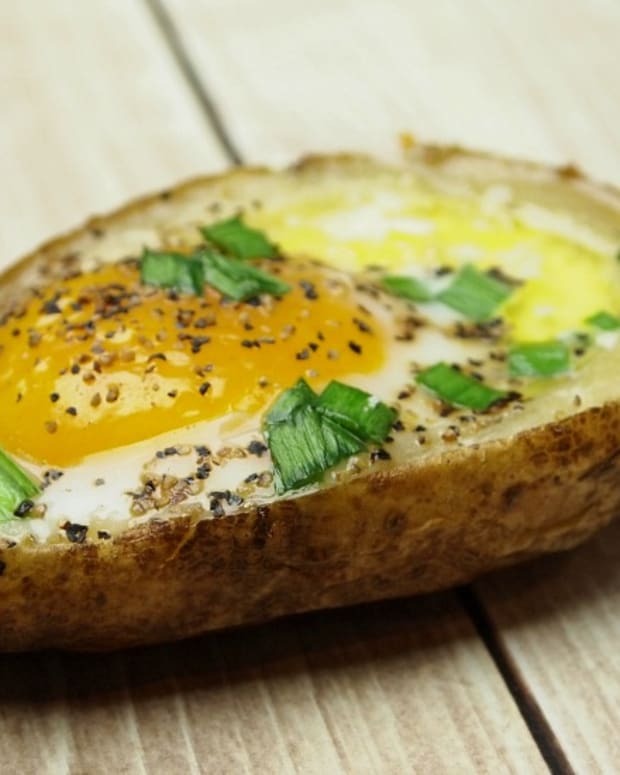 Mushrooms should also be completely intact – if there are any cracks, the egg will slip through. Preheat oven to 400 degrees. Scrape the gills off the mushrooms, being careful not to crack the edges. Place mushroom stem-side-up on a greased baking sheet. Drizzle with olive oil and season with salt and pepper. Bake for 10 minutes. While the mushrooms are cooking, heat the olive oil in a large skillet and saute the spinach until completely wilted. Season with salt and pepper. Stir in the matbucha and set aside. Remove the mushrooms from the oven and pat dry with paper towels to absorb the water that pools inside the cavity. Divide the matbucha among the mushrooms (don’t overfill or there will be no room for the egg), leaving a well in the center to place the egg. 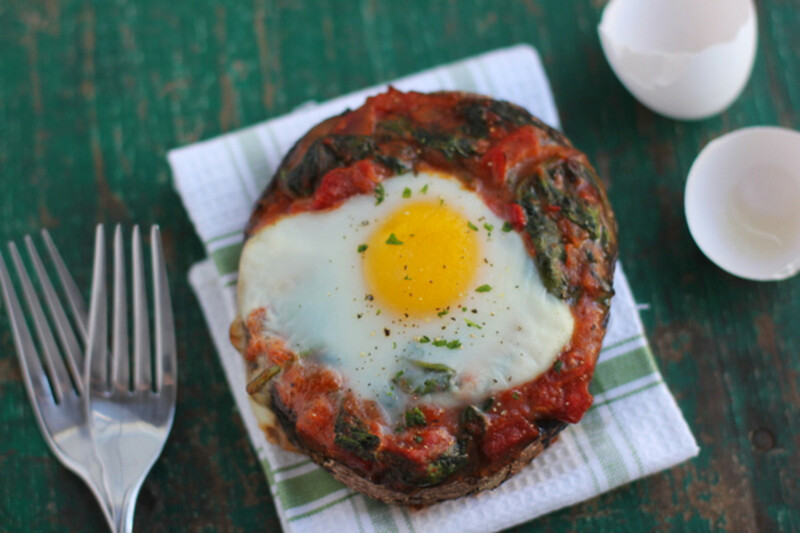 Place an egg in the center of each mushroom. Bake for 15-18 minutes, until set. Serve immediately.